2. It can ensure the surface of the paint to be smooth, with good plumpness, and with no chromatic difference. 3. The roller coater and the electronic roller and the conveyor controlled by separate motor/reducer/frequency, with best precision and stability. 5. It can be chosen with the PLC, automatic elevator, separate electronic box or more automatic choosing unit. 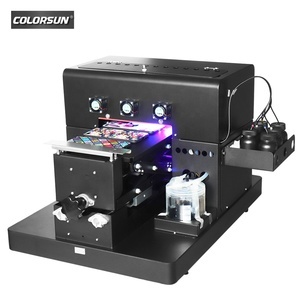 It is ideal for coating photos, pictures and papers. The ocean shipping cost depends on the destination port and package size. We arrange the local shipment,which&rsquo;s easy for you to control the transportation cost. 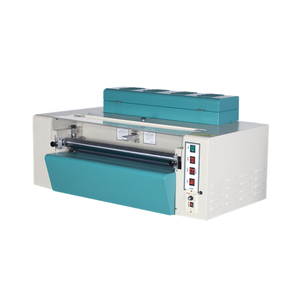 Digital Spot UV Coating Machine (for door) Usage It is mainly used for coating MDF board and producing panel furniture and kitchen cabinet board; and also can be used for coating solid wood and bamboo flooring. Process flow of the UV coating line Configured according to customer&rsquo;s product quality and the simple process of the panel furniture are as following: Equipment list of the coating line Roller conveyor, belt conveyor, putty filling machine, one-roller coating machine, two-roller coating machine, curtain painting machine, printing machine, sanding machine for raw board, sanding machine for base coat, two lamps UV dryer, three lamps UV dryer, four lamps UV dryer and IR leveling machine. Technical Parameters Model Working width Working thickness Minimum length Feeding speed Feeding power Coater roller power Coating power Heating power Dimensions(L&times;W&times;H) 200 620mm 2-100mm 300mm 5-20m/min 1.5kw 1.5kw 0.75kw 3kw 1600&times;1600&times;1300mm 500 920mm 2-100mm 300mm 5-20m/min 1.5kw 1.5kw 0.75kw 3kw 1600&times;2000&times;1300mm 1100 1320mm 2-100mm 300mm 5-20m/min 1.5kw 1.5kw 0.75kw 3kw 1600&times;2400&times;1300mm Packaging & Shipping Digital Spot UV Coating Machine (for door) After selling UV coating line, if necessary, we will send one or two engineers to set up and commissioning of the UV coating line until it running in normal state. The machine is with the hydraulic embossing technology so that the products after coating are beautiful, high efficiency and good quality. 1. Special roller change system that helps to change the texture or glossy rollers easily and fast. 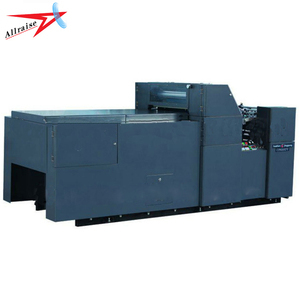 6. with the automatic cleaning system, the machine is easy and convenient to clean. 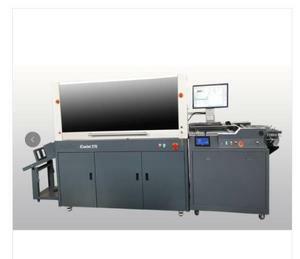 Alibaba.com offers 3,845 digital spot uv products. About 2% of these are coating machines, 1% are post-press equipment, and 1% are printing inks. A wide variety of digital spot uv options are available to you, such as free samples, paid samples. 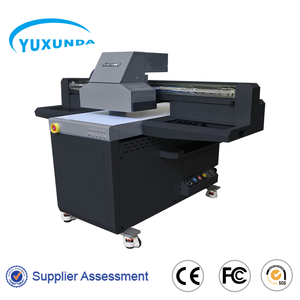 There are 3,860 digital spot uv suppliers, mainly located in Asia. The top supplying countries are China (Mainland), Hong Kong, and India, which supply 99%, 1%, and 1% of digital spot uv respectively. Digital spot uv products are most popular in North America, Northern Europe, and Southeast Asia. You can ensure product safety by selecting from certified suppliers, including 1,607 with ISO9001, 333 with Other, and 69 with FSC certification.